Straight from the factory floor- cleaned, sealed and room ready - this early A-frame shelving unit adds style and storage to any room. Can also be used as a bookcase. Easily adjustable bin shelves with handles. Casters allow it to move about easily. 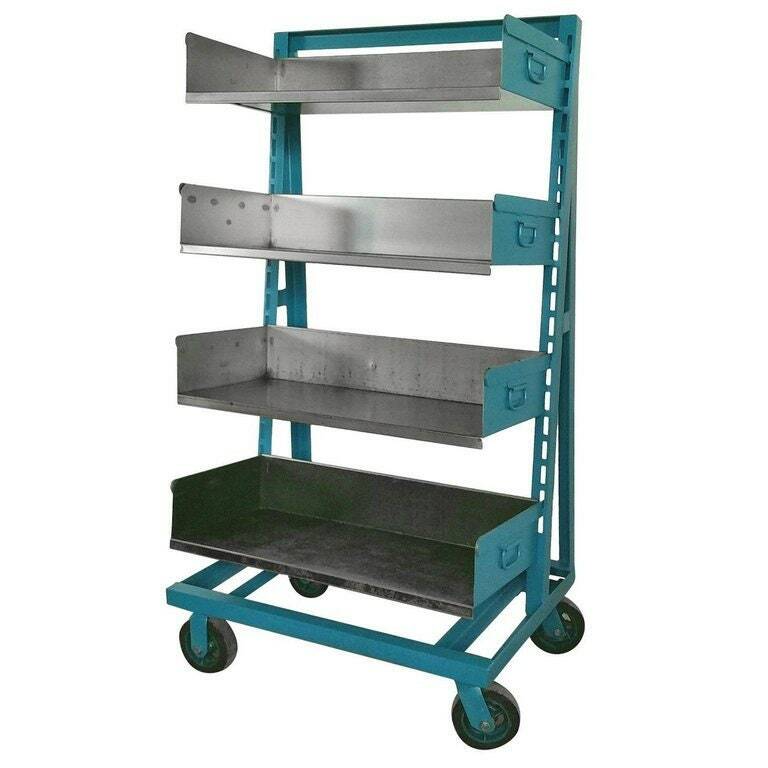 The rack can be refinished to this color or a color of your choice. Note: The price is for one unit but there are two units available. H 54.5 in. x W 25 in. x D 20 in.